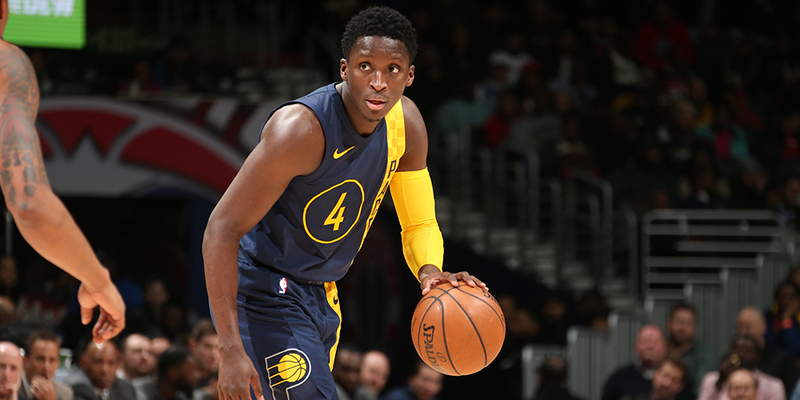 After Victor Oladipo’s unlikely rise to Third Team All-NBA, the hunt is on for the next reclamation project. If only it were that easy. From contributing writer Jordan Brenner. Jordan is a sports journalist who has covered the NBA for nearly two decades. He is the former NBA editor for ESPN The Magazine. When the Pacers traded Paul George for Victor Oladipo and Domantas Sabonis last June, the ridicule came quickly and relentlessly. Kevin Pritchard didn’t have much leverage, but just Oladipo and Sabonis … wow. Shocking he couldn’t do better. I wouldn't touch Victor Oladipo with a high lottery pick. Can someone explain why is anything more than a better defending Shannon Brown? By now we know how things turned out. Last week Oladipo earned Third Team All-NBA honors, just like George, the guy the Thunder supposedly stole. The joke is on the critics. But for those interested in more than schadenfreude, there are lessons to learn from the Oladipo saga, or at least ones to try to uncover. If the Pacers truly believed they were trading for an All-Star, what did they see that no one else noticed? And if Oladipo always had this latent ability, what triggered this monumental change, and what should that mean for the way we evaluate players?